While close to the city, the Sand Coulee Scientific & Natural Area offers a rare glimpse of what much of Minnesota was like before European settlement and provides much-needed wildlife habitat. A dry barrens prairie with sections of oak woodland and savanna, this 276-acre stretch of unique land lies just southeast of Hastings. Situated in a sandy ravine or "coulee" formed by a stream that flows into the Vermillion River (which in turn flows into the Mississippi), the steep slopes and gentle rolling expanses of the Sand Coulee provide a haven to the rare plant and animal species that call it home, as well as to individuals and families seeking a moment of respite and beauty. Due to its ecological and historical importance--not to mention the efforts of FMR, partner agencies, and dedicated local landowners--the Sand Coulee has been afforded the highest level of natural area protection in the state of Minnesota. As an SNA or Scientific & Natural Area, this nature preserve is open to the public for birdwatching, hiking and other low-impact activities, but there are no paved trails, bathrooms, or other buildings. 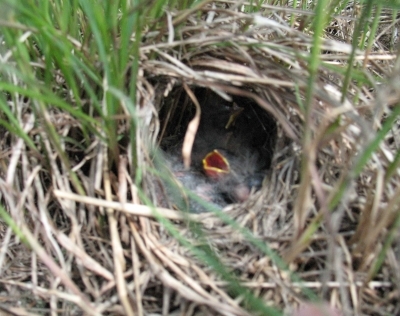 A grasshopper sparrow nest at the Sand Coulee SNA. The Sand Coulee provides a home to 13 rare plant and animal species, such as the blue racer snake, James' polanisia, regal fritillary butterfly and sea-beach needle grass. The small, isolated area promotes biodiversity, providing a haven for resident animals that depend on its rare habitat as well as a vital rest stop for migratory birds. Remarkably, the prairie has survived since the early 1800's, providing a small patch of native landscape. As only a tiny fraction of native prairie land within Minnesota still exists--less than 1 percent--the Sand Coulee is a precious landscape signifying what Southeastern Minnesota once looked like in an undisturbed and pre-settlement era. With their strong deep root systems, the swaying grasses and stunning wildflowers of the coulee also help hold the soil in place while also acting as natural filters for pollutants, meaning less erosion and runoff pollution seeping into the Vermillion and Mississippi River watersheds. The Sand Coulee is also located near other natural areas to the north, making it part of a connected corridor of natural areas along the Vermillion and Mississippi Rivers. Such connections are vital for the movement of plants and animals across a landscape human development would otherwise impede their dispersal. Volunteers collect seed in the Sand Coulee. FMR has worked step-by-step with the Department of Natural Resources, local landowners (most notably the Murnane family), the City of Hastings and Dakota County to first protect and then restore the health of the Sand Coulee SNA. Land use changes have begun to alter the landscape, threatening some rare species that call the Sand Coulee home. Encroaching trees and other cultivated garden or agricultural plants are moving in and can outcompete native grasses as the shade they create blocks out needed sunlight. Additionally, the common element of seasonal fires which is important to the health and succession of prairies has been almost wholly removed due to the disappearance of similar native prairie landscapes that would have surrounded the area long ago. Lastly, an overarching concern for all natural areas is the effects of climate change. Some forecasts indicate conditions, such as increased drought, which could negatively impact the native plants and animals of dry prairie and promote the advance of more invasive species. 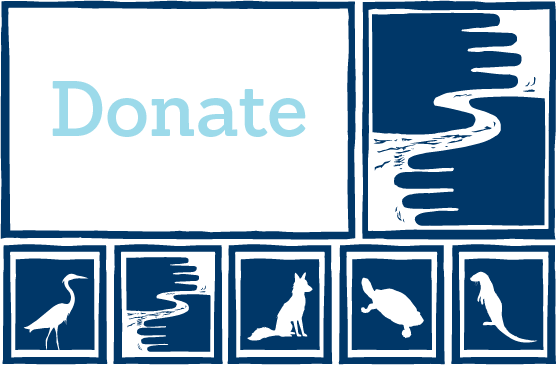 Our primary goal for this site is to sustain, improve, and expand the native prairie and oak forest plant communities to better support the full assemblage of native plant and animal species that are native to this habitat type. Volunteers hard at work removing invasive species such as cow vetch and spotted knapweed. Restoration of the Sand Coulee began in 2004 and landowners, volunteers, and vistors alike have witnessed the positive changes in the area. Along with the outstanding volunteer efforts, restoration ecologists have developed extensive long-term management plans, reintroduced fire to the region through prescribed burns, and successfully utilized unconventional but natural methods of restoration, such as introducing weevils which consume many of the invasive plants. Volunteers are a major asset to this restoration process; by involving volunteers, we can stretch and maximize the resources available to restore this important natural area. 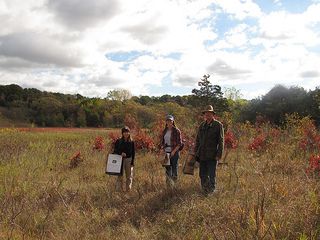 Through ecologist-led events, volunteers help remove the encroaching invasive species (sometimes including shrub and tree removal), plant native species and collect seed for future habitat restoration. With the combined efforts of the ecologists and volunteers, the future and health of the Sand Coulee is looking brighter than ever. Thanks to hundreds of volunteers and hard work by FMR ecologists and our conservation partners, we've taken significant steps towards the preservation of this important natural area. We hope you can join us to ensure the long-term protection of this important regional gem. To receive notices of events at the Sand Coulee, contact Volunteer Coordinator Amy Kilgore via our Contact form (be sure to change "General" to Amy's name under the "category") and let her know you'd like to join the Vermillion Stewards email list. Vermillion Stewards emails are sent a handful of times each year and focus exclusively on events in the Vermillion River Watershed, including the Sand Coulete. To receive notices of all FMR events and activities, sign up for our twice monthly Mississippi Messages email.